SYDNEY, AUSTRALIA - FEBRUARY 02, 2014: Sydney ferry passes opera house. 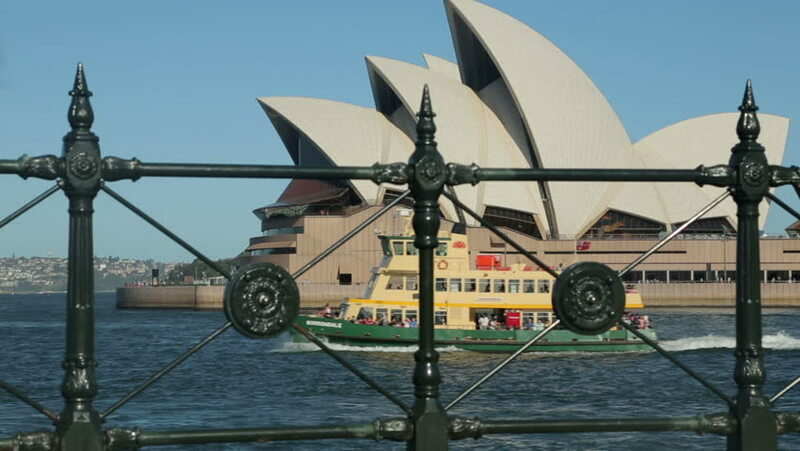 The Opera House opened in October 1973 and was designed by Jorn Utzon. hd00:13NEW YORK - CIRCA JULY, 2015: old ship and office on pier 16 Seaport circa July, 2015 in New York. 4k00:22Worker paints metal of ship at shipyard in port of Moscow. Process of repair and reconstruction of sea vessel. Outdoor work. Technology of manual painting boats. Industry of water transport. 4k00:08BANGKOK/THAILAND-July 14, 2018 : BTS Sky train construction working site for orange line on Ramkhamhaeng road.